To provide individualized education to children grade K-8 at all ability levels. We are a small private Christian school with approximately 25 students in grades K-8. We have students ranging in ability from non-verbal to highly gifted, with everything in between. It is our mission to provide an individualized education for each of our students regardless of ability level. Because we are so small no one is ever ignored or forgotten at our school! 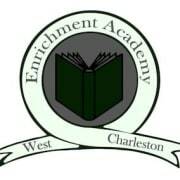 Would you recommend LAS VEGAS ENRICHMENT ACADEMY?